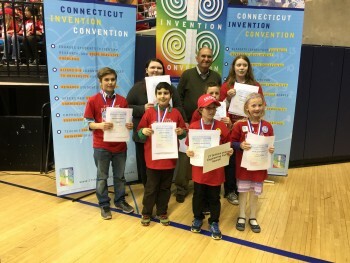 CSEF Judging Team Michel Leask, Heather Leask (CSEF Alum years 2004-10), Ronald Leask, Joshua McLellen, and Bob Wisner took on the challenge of reviewing 952 inventions of K-8 students at the 32nd Annual Connecticut Invention Convention, May 2, Gampel Pavilion, University of Connecticut. CSEF gives eight “Spirit of Innovation” awards. Each includes: $100 VISA gift card; Mini-Plaque; 2015 CSEF T-Shirt; CSEF pins; and invitation to compete in future fairs. 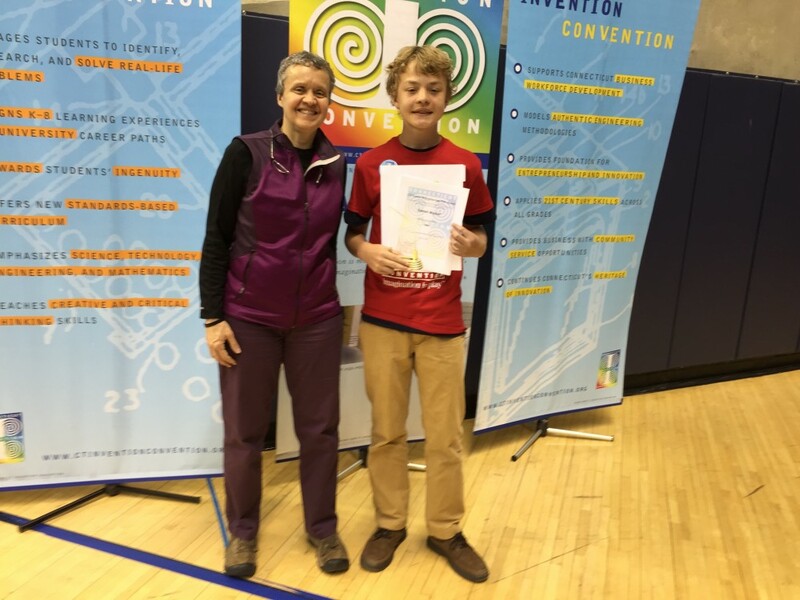 The Connecticut Science & Engineering Fair salutes all the students who showed their inventions and the CT Invention Convention volunteers and staff who make this wonderful program happen each year.